Today, ‘Social Media’ has become an inevitable part of our life. All business organizations and individuals are focused on enhancing their social presence. Now, let us understand how CRM social media platforms have helped business organizations. A decade ago, it was very difficult for businesses to maintain a personal relationship with their customers. Today since almost everyone is available on multiple platforms like Facebook, Twitter, LinkedIn and Google Plus, keeping a track on customers’ likes, dislikes, etc is not very difficult. On these platforms customers openly share their opinions, reviews, feedback, etc. Taking advantage of this, representatives can actively monitor customers’ posts and tweets to build better relationship with the customers. Let us imagine a scenario, where a customer is not happy with the product a company delivered. He pens down his feedback on Facebook. His friends share a couple of thoughts on the same topic. Some of his friends like the brand, others don’t, hence there is a mixed opinion formed. The company’s service representative logs into the Company’s Facebook account to see the status and other posts. As soon as he signs in, he sees lots of negative comments related to his company’s product. He smartly addresses the problem saying; the damage was not caused, because of the quality of the product, but because of storage problem. The customer finally understands where the problem lied. The end result being, better relationship between the customer and the company. It is marvelous when an issue, complaint or request can be resolved just via social networking platforms. All you have to do is be active on these sites and keep a close check on customer related activities. Also, if a customer writes or tweets something good on your social networking pages, you can re-tweet or share it, so that a lot of people come to know about the quality service your company provides. Constant monitoring forms a core part of CRM marketing strategy, both on offline and online platforms. Social networking sites can also be used for brand building. It can also be used by sales representatives, to analyze the customers’ sentiments, emotions, behavior and other factors. Keeping all this in mind a sales representative can pitch for a potential upsell or cross sell depending on the customers’ past purchase behavior and other details. 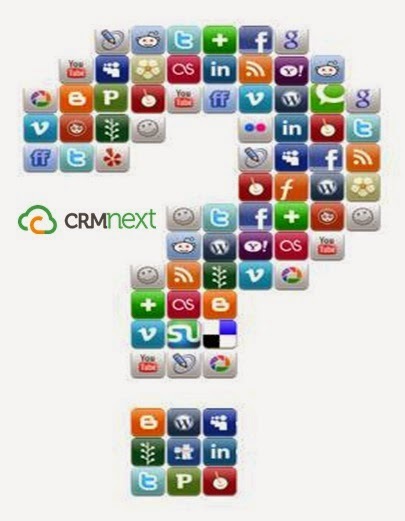 The above three questions will make optimal use of CRM software for social networking. It is not just about making posts, but building a personalized customer communication.